Outdoor weddings feel intimate and natural, celebrating the beauty of the world, as well as the couple getting married. If you are planning a wedding at your home, you have to decorate any space that is public during the event. A porch provides a framework for decorations and can even be used for wedding pictures. 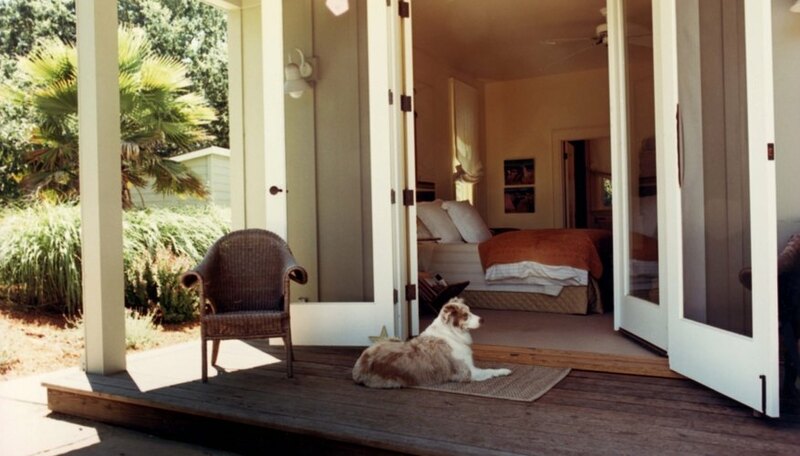 Your front porch is often the first thing guests see and must make a positive impression. Find a theme for the wedding. Your theme can be based around a holiday, a season or just be a celebration of nature. Decorate the porch railings. White tulle can be bunched and draped off the railing for a romantic look. Garlands of leaves add color and texture to an autumn theme, while flower garlands can be wrapped around the porch’s framework for a spring or summer theme. Garlands of pine needles work well for a winter-themed wedding. Line the steps and corners of the porch with potted flowers and items that reflect the theme of the wedding. Add pumpkins, crows or scarecrows to an autumn theme. Consider decorated Christmas trees or decorating with fake snow at a winter wedding. Add items that have meaning to the bride and groom to the rest of the porch. These can be items that represent inside jokes the couple shares, their favorite flowers or candles that give off their favorite scents. You can also decorate with pictures of the bride and groom. Entwine lights with your garlands if the wedding takes place in the evening. Small lights glittering between the garlands create a romantic glow in pictures and brighten your decorations. Always match decorations to the theme, and use colors that are complementary to the wedding colors. You don’t want the decorations to clash against the outfits worn by the wedding party. Don’t go overboard with decorations. You don’t want the porch to look cluttered. Rose Turner published her first novel in 2006 and soon after began work as an associate publisher at an independent publishing house, where she was the managing editor for a line of children's books. She currently works as an author, editor, film producer and designer.